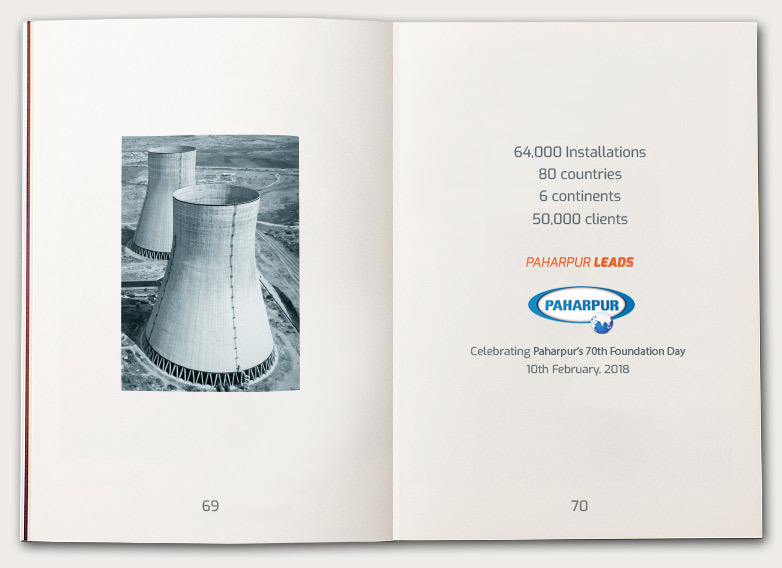 Paharpur’s Class 400 represents the very best of process cooling solutions in the industry today. This induced-draft counterflow cooling tower is built for large-scale industrial cooling and is available in timber, FRP & PFRP variants. 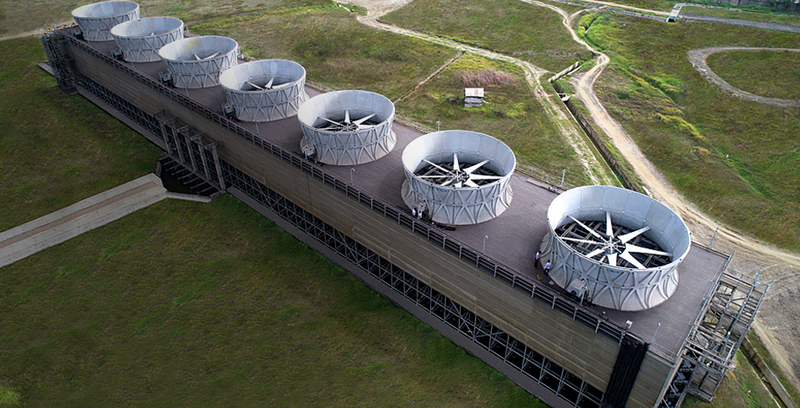 Every day, thousands of Class 400 cooling towers deliver dependable performance to industrial plants over the world. 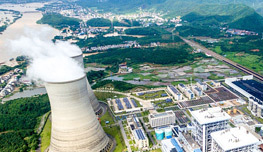 The Class 400 is a highly versatile cooling tower. Keeping your requirements & restrictions in mind, engineers at Paharpur can prepare a completely customised product that delivers reliable thermal performance. 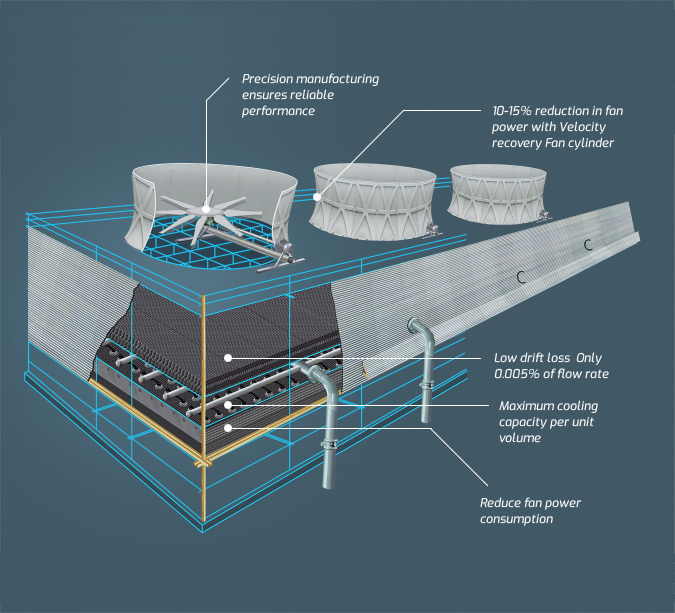 Counterflow Cooling Paharpur ensures reliable counterflow cooling by perfectly balancing the numerous factors that dictate thermal performance – fill sheet-spacing, strength of fill sheets, fan speed, uniform distribution of water etc. Perfect performance comes with perfect balance. Customisation Customisation is the key to high performance and reliability. Your project is unique in its requirement, challenges, geography and scale – all these factors dictate MOC, designs and further customisations are made to balance the cooling system to ensure reliable, long-term performance. 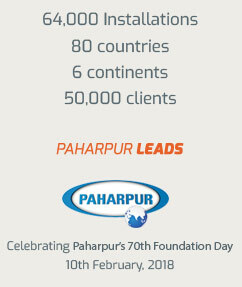 Integrated System Design Paharpur’s products are fully integrated systems – customised and balanced according to your requirements, to provide high performance. Without this balance and synchronisation, reliable thermal performance cannot be ensured.